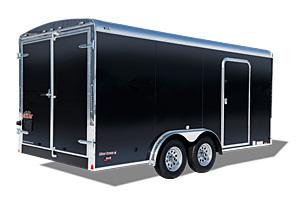 Silver Crown Series cargo trailers range in size from a 5X8 single axle 8X48 triple axle gooseneck model. Electric brakes are standard on 6' wide tandem axle trailers and larger. 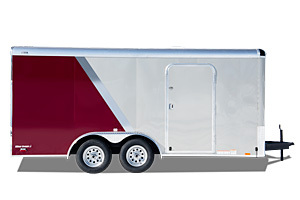 The 5-7 foot single axle models offer a standard payload capacity of 1,460 to 2,360 lb., tandem axle bumper pull trailers offer a standard payload of 3,110 - 6,210 lb., while the gooseneck trailers offer a payload capacity of 4550 - 11,500 lb. 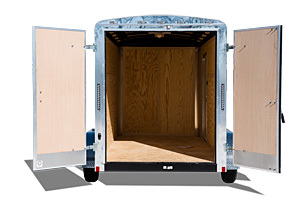 Double barn doors are the standard rear door for the Silver Crown Series cargo trailers with an optional ramp door available.